First, his musical talents became widely known after he starred in Into the Woods. Then, he became the latest host of The Late Late Show. Now, James Corden will be hosting the 2016 Tony Awards. The comedian's career seems to be on it's way up — and I couldn't be happier. Why? Well, the British funny man has not only already proven that he can dominate a crowd, but he's also had his fair share of award show hosting experience as well, considering that Corden has already hosted the BRIT Awards a total of five times. Also, he's no newbie to the Tony Awards either; Corden is actually a former Tony Award winner for his performance in the 2012 comedic play One Man, Two Guvnors. However, can he compare to the hosting performances of Hugh Jackman and Neil Patrick Harris in years prior? When it comes to the hosting the Tonys, there are a couple of things that the selected host should have on lock (aside from the ability to just merely entertain). 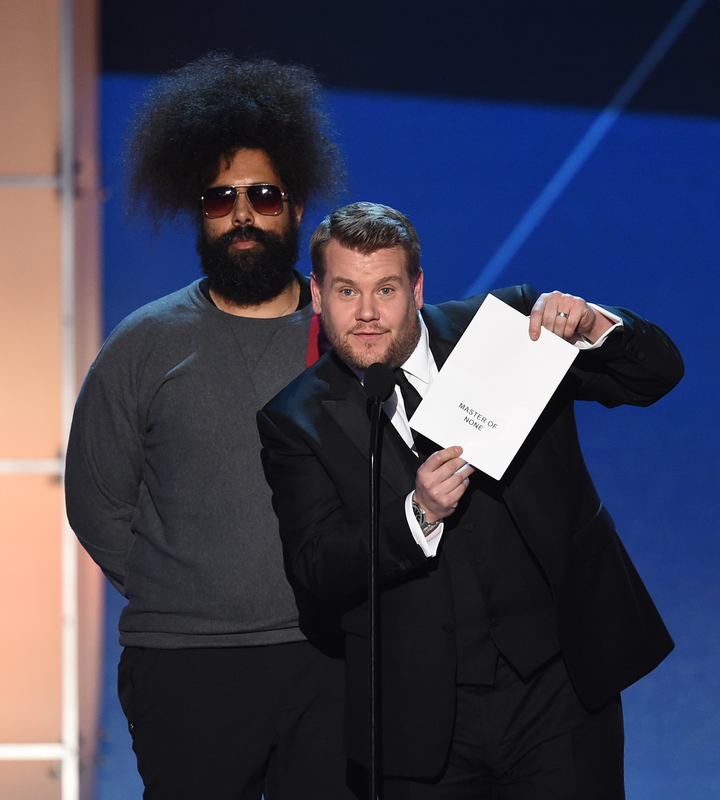 So, taking into consideration the high expectations of the theater-going audience and the already known talents of James Corden himself, here are eight things we can expect when the comedian takes over the awards show this year. What are the Tonys without an incredible host-led musical number? He literally stopped traffic with this one. Between the casting choices, his persistence no matter what the circumstances, and his genius vocal warm-ups, what could really go wrong come award night? At this point, it's hard to know which Broadway songs or stars he might drag on stage with him, but a hilarious sing-along seems to be pretty much guaranteed at this point, considering what a hit this segment is on his show. You know how every award show seems to begin with the perfect host introduction? Well, James Corden's celebrity-filled introduction to his show already proves that he can nail an intro. Seriously can't wait to see how he will prepare himself for the Tonys. Singing abilities and humorous antics aren't all it takes to win a Tonys audience. You also need the perfect dance moves. And, honestly, with a little bit of practice, I think it's safe to say that he's got dancing down. Considering that the Tonys cover live Broadway performances, there are often recaps done to help show audiences exactly what shows are nominated (just in case viewers haven't necessarily gone to New York to see the shows for themselves). I have some high hopes that Corden will actually try to recap the year's hit plays and musicals himself. Why? Well, because he's done so before with movies. Seriously, what isn't fun when James Corden is on stage? And who knew that celebrities could've gotten so excited about a group of accountants at the 2015 Emmys? While audience may know him from the movie Into The Woods or The Late Late Show, in an interview with Broadway.com, Corden made it clear that all he really wants to do is Broadway musicals. He even mentioned some dream roles of his — meaning that he has the theatrical knowledge to back up his hosting gig as well. As a theater actor and Tony Award winner himself, he truly appreciates the struggles that each nominee goes through to get to that point. Seriously, just look at how sweet and emotional his 2012 acceptance speech was. If you're not convinced he will be an amazing host just yet, then it seems like the actual Tonys will just have to convince you for themselves. The 70th Annual Tony Awards will air on CBS on June 12, at 8 p.m. EST.